"I have been working out at the KZone Academy for 5 years now. It has been highly effective in elevating my skills from a regular high school pitcher to an ACC pitcher. Through intense, explosive, dynamic full-body work outs and proper motivation I have been able to increase my max velocity by 24 mph in the 5 years. 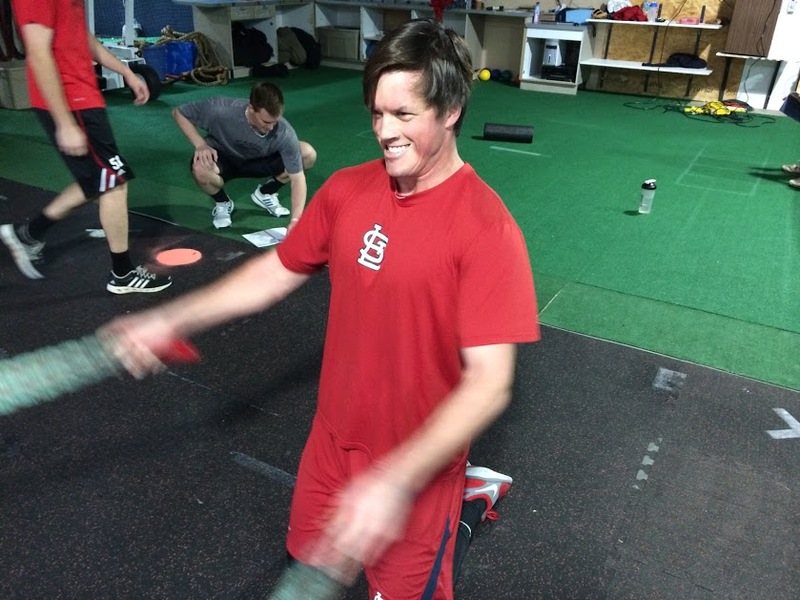 Dan’s high energy, positive personality combined with his extensive knowledge of the biomechanics involved in baseball make the K-Zone an easy place to get better. Everyone at K-Zone is always competing with each other to see who can set new records for themselves in the various work outs. Between the positive atmosphere and the innovative work outs the K-Zone is a perfect fit for me to pursue my dreams of playing in the MLB." ONLY ONE TEAM PER AGE GROUP SO ACT QUICKLY! 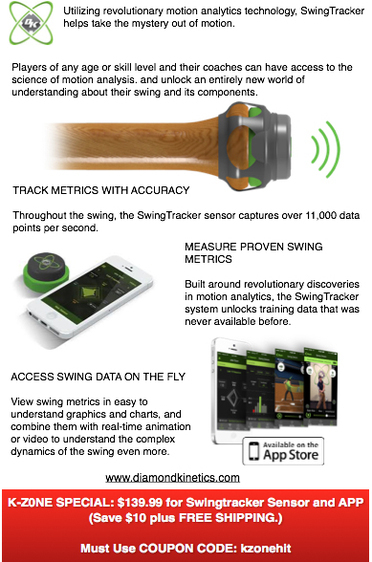 Swingtracker Sensor and APP, by Diamond Kinetics. ​Save $10 and get FREE SHIPPING. ​Players of any age or skill level and their coaches can have access to the science of motion analysis. and unlock an entirely new world of understanding about their swing and its components. ​EXCLUSIVE K-ZONE ACADEMY PRICING. Pick Your Bat up at the K-Zone. "The Axe Bat has been hailed as a breakthrough across all levels of play from youth to the pros. ​This is the first bat built from end-to-end to give the player a distinct advantage at the plate. ​Thousands of hours of research have been devoted to the Axe concept; fine tuning everything from the handle to the barrel." 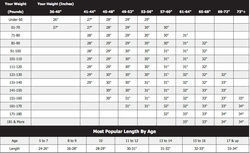 ​Bat Sizing Chart Click chart to Enlarge. If you need additional weeks to be deferred, approval is subject to availability and an additional $50 per week. You will select morning or evening sessions for your entire program. Special requests for a time change will be considered on an individual basis based on availability and staffing. You are purchasing time not sessions, nothing carries over into the Fall. We are committed to coach and train the most dedicated of athletes. Aside from skill, physical strength is the most important attribute an athlete can possess. It is the foundation upon which other athletic skills are built. Speed, agility, flexibility, mobility, power, and explosiveness are components of baseball that can be significantly improved by dramatic increases in strength. Baseball is a ballistic sport that involves quick and explosive movements. In order to increase power and speed, you must have a solid base and foundation to build on. The best athletes have incredible relative body strength. Simply put, strong baseball players who are able to produce forceful contractions will be more successful than weak players who rely on skill only. The combination of skill, power and strength will help baseball players reach their maximum potential. 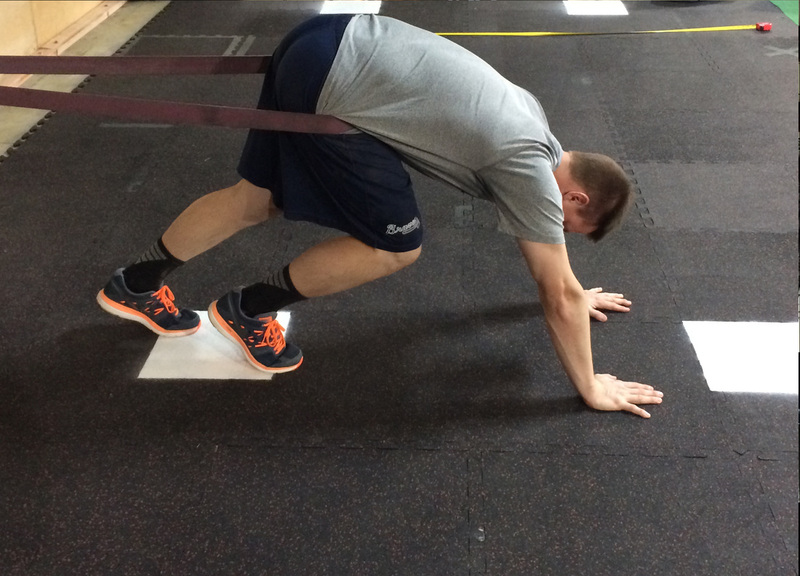 Are YOU committed to becoming a Superior Baseball Athlete? We won’t force anything upon the athlete. We give you freedom to develop what works best for you. It is not a "one size fits all" system. The way you think and go about your training will be challenged in an environment which focuses on doing what’s right, not who’s right. The tools we have at our disposal are unparalleled and many times unavailable at other facilities. Coupled with our tireless review of the latest research and our own proprietary studies, the K-Zone Academy SBA experience is truly one of a kind. are performed to identify weaknesses and assess strengths. We will use these to determine any issues and/or constraints that may be preventing you from performing at a higher level. Together we will develop your own personal, plan. including drills, strategies and systems which will help you continue to grow, to become a stronger, faster, more powerful, explosive, mobile, SUPERIOR baseball athlete. 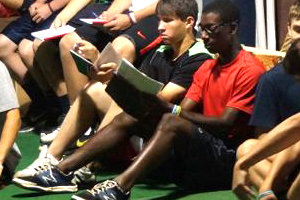 There is no more effective program available to prepare you to excel on the baseball field. Your progress is tracked throughout your training. Nothing is forced upon the athlete. We give you freedom and guidance to develop what works best for you. This is not a "one size fits all" system. The way you think and go about your training will be challenged in an environment which focuses on doing what’s right, not who’s right. Learn what this means and how to apply it to your baseball training. It is the single most powerful concept in skill development. Deliberate practice is the key to your success. Without it you can not maximize the Bernstein principal. This is how all high level skills are developed. "Dan Kopitzke of the K-ZONE ACADEMY, continues to develop safer, more effective ways to build health, durability, velocity and command into your throws. Utilizing the latest research and studies, their arm care protocols are second to none. Throwing hard has never been more important, so maintaining your health so that you can work on your velocity is paramount. K-Zone is also pioneering brain based learning for your command. So, not only will you be able to throw harder with less stress, but with better command. Fewer throws means an even healthier arm." "The K-Zone provides highly athletic workout programs that are specifically tailored to each individuals personal physical assessments. My first day at the academy; areas of weakness in my functional strength were evaluated and corrective exercises were provided to help me fix these weaknesses. I was then given a workout program that was specifically designed to improve my physical capabilities on the field. The K-Zone's high intensity, core targeted workouts improved my athleticism immediately. I noticed greater core strength, speed, agility, mobility, and gained overall muscle with a month of hard work at the K-Zone Academy. K-Zone in Apex NC is in the top 5% of all that I see in the USA in pitching instruction. Bottom line....Dan 'gets it'. He understands the connection between athleticism, mechanical efficiency, mobility /flexibility, functional & skill specific strength, scapular health and strength balance...and nutrition/rest/recovery... and how it relates to enhancing or improving the performance of those in his charge. " Coach Ron Wolforth, founder of Ron Wolforth’s Texas Baseball Ranch and Pitching Central. Velocity is a key aspect of high level performance for pitchers and position players. We will use weighted baseballs as the main tool for creating more velocity. 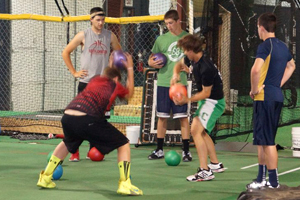 Our protocols have been thoroughly tested in house and by Driveline for maximum effectiveness. This weighted ball throwing will be coupled with the exercises/drills used in the Arm Resilience training for a complete velocity development program. Velocity is not the only thing important to being an effective pitcher. 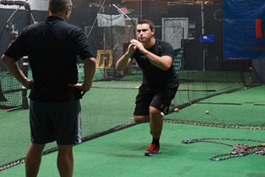 Pitchers will work on command and enhancement of all their pitches using our proprietary, tested training protocols. These use the latest understandings in nueroscience and kinesiology. 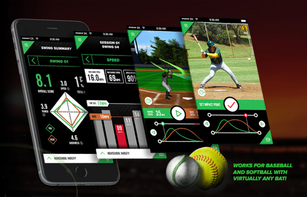 A combination of mechanics training, brain training using the V-Flex system, and live pitching in combination with our HitTrax hitting simulator will provide you with an unparalleled experience. Your game will be elevated in this sensory rich environment that provides real-time objective feedback. As with our other skills training, kinesthetic awareness, intent and objective feedback (via HitTrax and Diamond Kinetics Swing Tracker) are the cornerstones to helping you improve your game performance. "Resilience - the capacity to recover quickly from difficulties/stress." The difficulties/stress we experience come from the games we play. We develop arm resilience through a combination of strength building, mobility, mechanics or movement pattern efficiency, and recovery techniques. One of the primary components to this is the Driveline system. These training/exercise protocols are well tested to insure their effectiveness. Players will perform exercises and drills that provide kinesthetic feedback to improve their throwing mechanics, making them more efficient and healthier. In addition, strength and recovery exercises will be done to increase the resilience of the arm. Players may also do additional arm “flossing” such as long toss. More than just a Speed & Agility class. You will train to become a stronger, faster, more powerful, explosive, mobile, SUPERIOR baseball athlete. There is no more effective program available to prepare you to excel on the baseball field. The training class will impact every aspect of your game in a positive way.